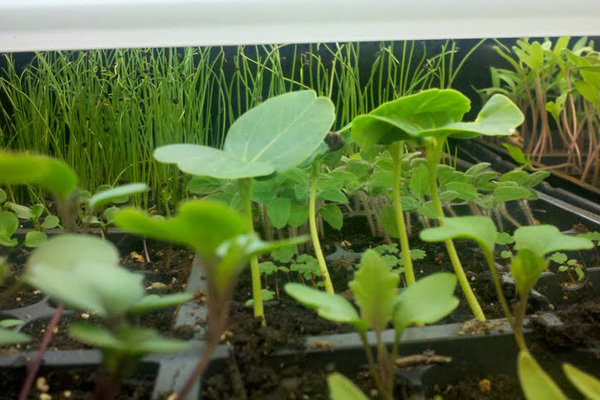 - Use clean seed starting trays: Some people like to reuse seed starting trays, and that’s understandable. Gardeners can be cheap, er, thrifty. And why increase the amount of waste in the world? So, if you do reuse seed starting cells and trays, be sure to wash them in a 10:1 ratio water-to-bleach bath. This will kill any remaining nasties that can cause your seedlings to die off, like fungal disease spores. - Keep seed medium moist but not soaked: If you let the seed medium or soil you are using to start seeds dry out, the seeds may not sprout. On the other hand, keeping them too wet can literally drown the seedlings and increase the odds of disease. Recommend watering them with a spray bottle until the seedlings get going, and it can help to make sure they have proper air circulation. - Be sure to check if you need to prepare seeds before you plant: Some seeds need to be soaked, scarified, stratified, or other treatment before planting. For example, pea seeds do well with 12 hours or so of soaking in water, while some perennials need to be refrigerated for a few weeks before planting. Otherwise, they may not germinate. Do a quick online search to find out for each seed. - Keep pets and small children away while sprouting seeds: Along with the obvious chance that a mischievous cat, dog, or four-year-old could knock over seed trays, some seedlings and even seeds are poisonous. - Be sure to give seedlings plenty of light: Always make sure you give seedlings plenty of light and keep in mind a sunny windowsill may not be enough. It is a good idea to ensure the seedlings get at least 6 hours of sunlight a day. If the seedling stems are very long and spindly and the seedlings droop over, this is a sign they need more light.